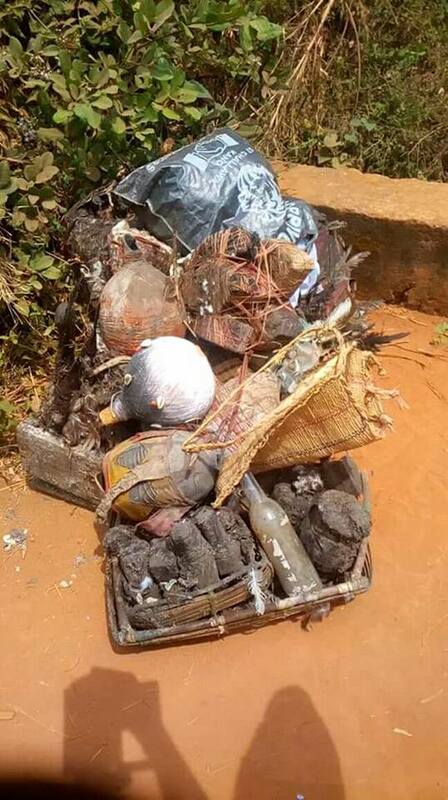 Ritual people continues to strive in this country owing to the fact that everybody wants to make it without working hard enough. 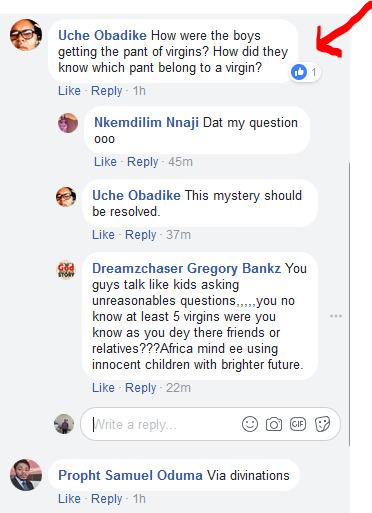 They just want short cuts to everything. 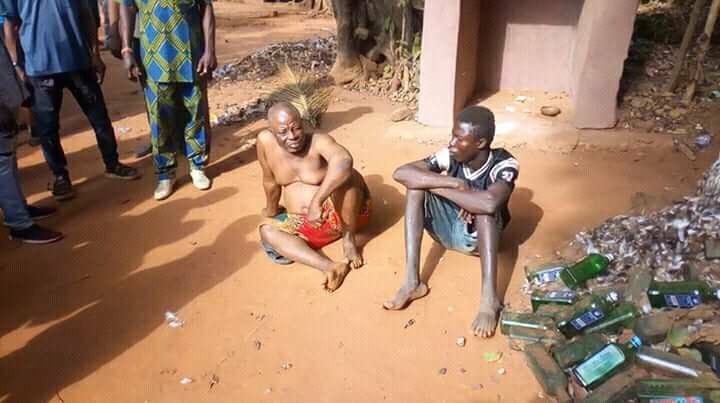 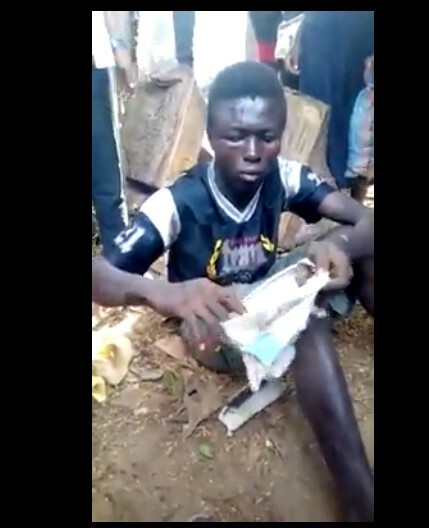 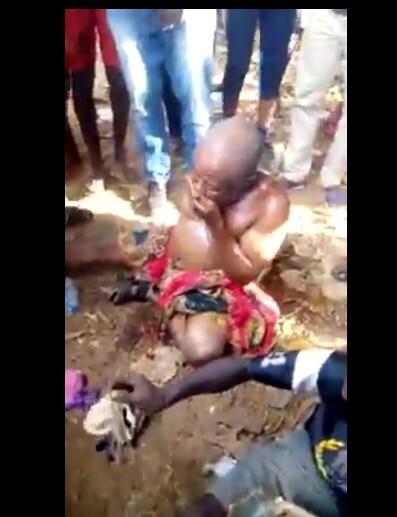 A suspected ritualist was caught yesterday at Abagana, Anambra State. 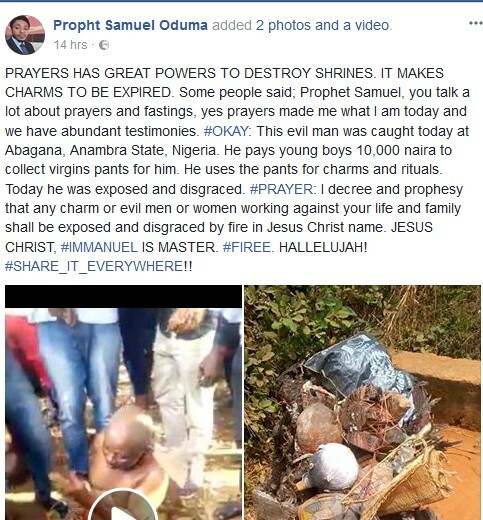 According to Prophet Samuel Oduma, the evil man pays young boys 10,000 naira to collect pants of virgins for him which he uses for charms and rituals. 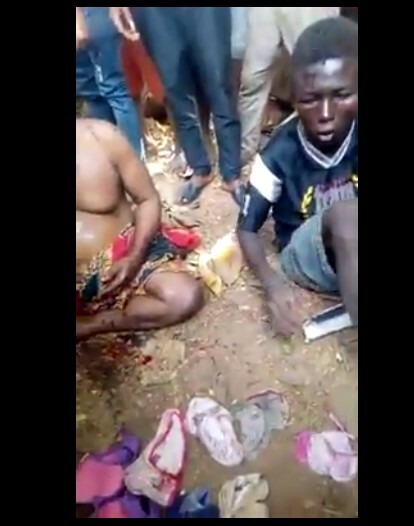 Yesterday, the man was exposed, disgraced and severely beaten along with one of his accomplices as his shrine and items were destroyed in the process.